Toyota is pleased to announce the first five approved partners that will support the new Toyota converter programmes to provide off the shelf and bespoke LCV conversions. They are the first businesses to be part of what will be a national network designed to ensure ease of access and guaranteed quality to customers seeking a range of popular vehicle conversions, or adaptations that are tailor-made to suit their specific business requirements. Details of the new Toyota authorised converters are provided below. The introduction of the new programmes is marked by a display of the first models at the Commercial Vehicle Show, which is open at the National Exhibition Centre in Birmingham from 25-27 April 2017. 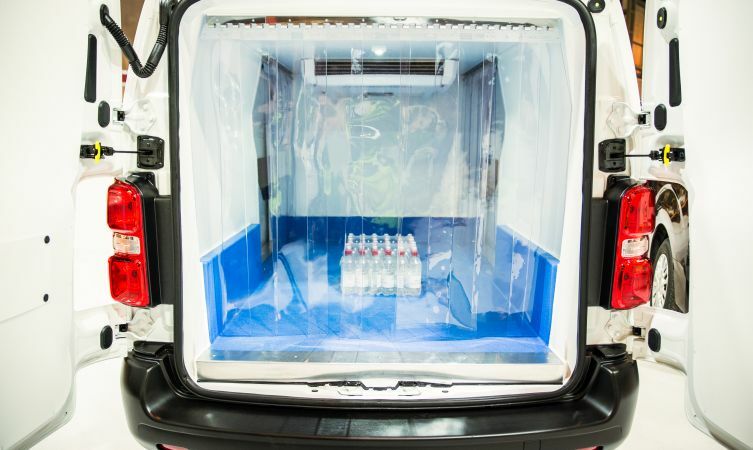 Presentations includes a new internal racking system for the Toyota Proace medium-duty van, built and fitted by Bri-stor of Stafford; a Toyota Hilux Extra Cab tipper built by the TGS Group, based in Bristol, and a refrigerated Proace prepared by Coolkit Ltd, in Burnley. 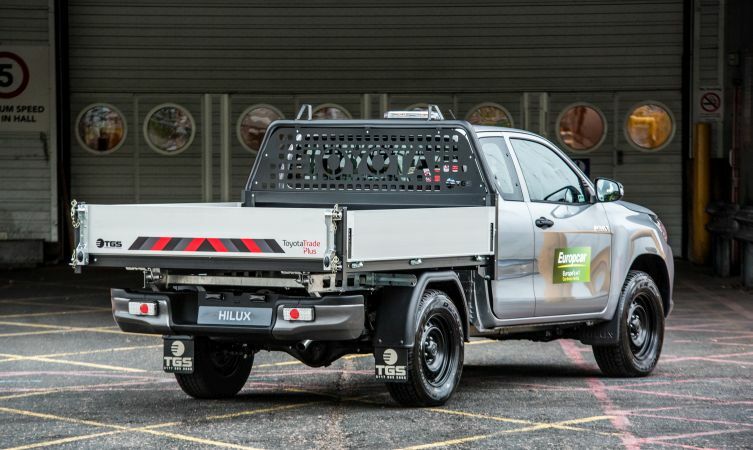 The Hilux tipper specification includes a tipper unit with an internal length of 2,140mm and width of 1,900mm. 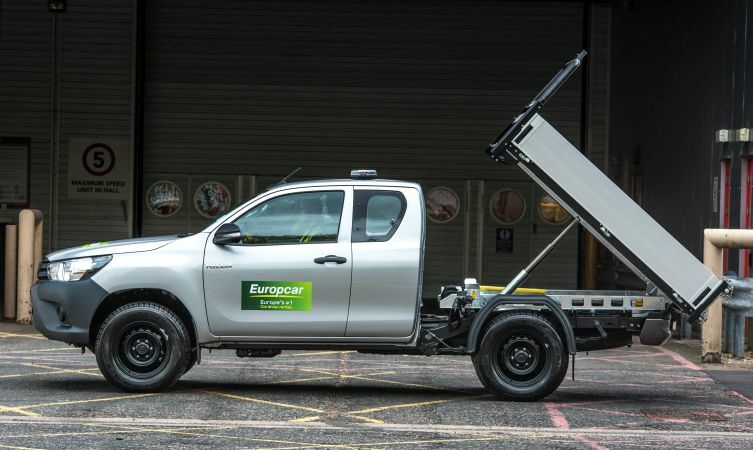 It has an estimated total vehicle payload capacity of up to one tonne. Features include fully galvanised tipping frames, a black powder-coated gantry with protection infill panel and anodised aluminium side boards with over-centre catches. The corner posts are removable and the unit has a two-way tailboard hinge mechanism and a Tippadek alloy floor system. The recommended retail price is £3,595, plus VAT. 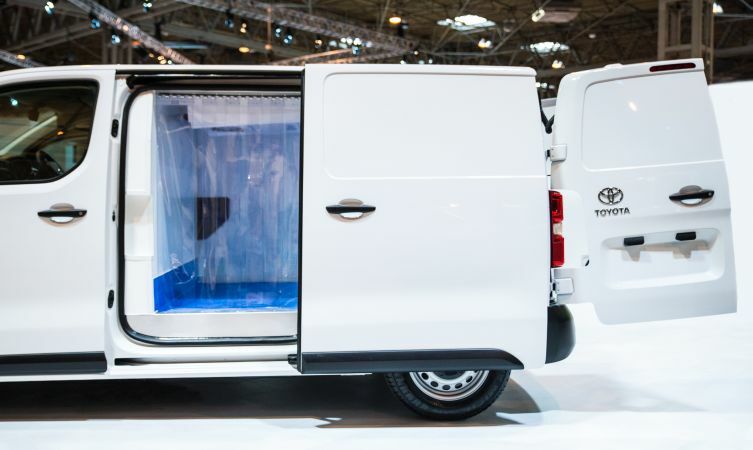 The Toyota Proace refrigerated van featured on the show stand is based on a medium wheelbase model in Base trim with conversion work by Coolkit. Installation of the refrigeration system creates an internal load space measuring 2,135mm long, 1,128mm wide and 1,347mm high. The vehicle payload is expected to be 941kg. The conversion proposes a Hubbard (Zanotti) SFZ009 temperature control system with an under-chassis condenser and off-cycle defrosting. It is designed to carry packaged goods at temperatures from chill to +0º Celsius. The design can be adapted to provide loading doors to the rear or either side. Other features available include LED loadspace lighting, strip curtains, drain hole and an anti-slip floor. The retail price is £5,995 plus VAT. 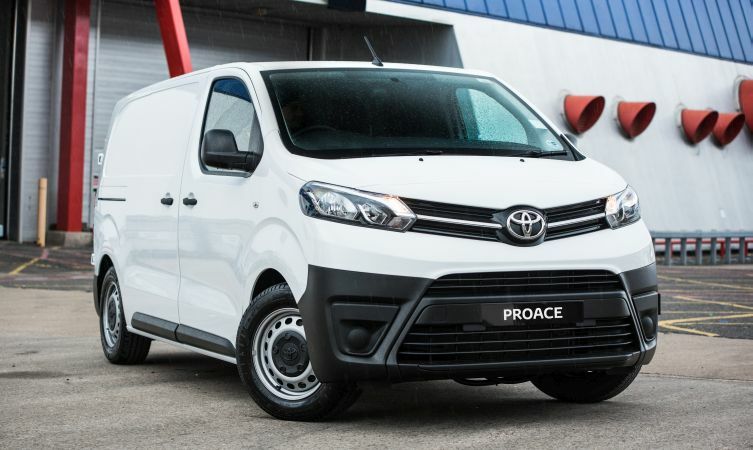 Bri-stor is offering two Toyota Trade Plus racking kits for Proace, each of which can be adjusted to suit customer needs with optional features and accessories. In standard form, Kit 1 consists of three 1,040mm shelves, a tool panel with three tilt boxes for small items and a metal basket. The conversion also includes 9mm phenolic plywood flooring, a polypropylene lining kit and coat hooks. Options include an additional nearside tool panel with further storage bins, tilt boxes and basket. Kit 2 equips Proace with offside racking, comprising a three-shelf system with greater storage space, eight bins, three drawers that can be accessed from the offside side door, and a tool panel with three tilt boxes and a basket. It also makes use of Proace’s smart cargo hatch to provide storage for 3.0m lengths of pipe, conduit, or similar items, avoiding the need to fit external pipe tubes. The system also allows 8x4ft sheets to be securely stored inside the van. As with Kit 1, plywood flooring and a lining kit are included. The retail prices are £995 plus VAT for Kit 1 and £1,495 plus VAT for Kit 2. These models will be available through the new Toyota Trade Plus programme, supplied as complete units ordered through any Toyota retailer and delivered ready to go. Status as a Toyota Authorised Converter confirms that a business meets Toyota’s stringent quality standards in every aspect of the build process and conversion delivery, including warranty and aftersales service, giving customers complete peace of mind. Each business will additionally be monitored throughout their three-year contract, prior to a review. Gareth Matthews, Toyota’s LCV Manager, said: “These programmes have been developed in direct response to customer demand. What we are seeing today is the continuation of an exciting new LCV strategy that will see more businesses becoming Toyota Authorised Converters, and more types of vehicles being introduced to meet an even wider range of customer requirements.